The bone chilling Making A Murderer premiered on Netflix in 2015. Since then, Steven Avery has been transformed from a local controversy to a national story. 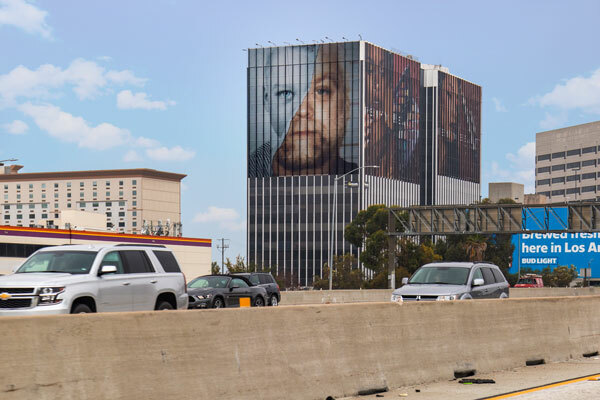 With just Avery’s face overlooking the traffic on LA’s 405 freeway, everyone knows that season 2 must be on the horizon. Thursday nights missing something? Yeah, we miss the intense NBA action too. Good thing the wait is just about over! TNT is bringing back that extra bounce Thursday evenings need, especially to the city of brotherly love. 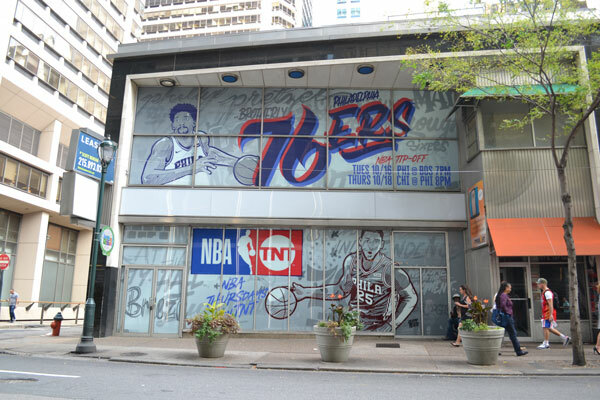 Catch the 76ers kick off the season with a home and away game mid month! Fall TV premieres are coming back in full swing, but premieres aren’t just for cable programming these days. 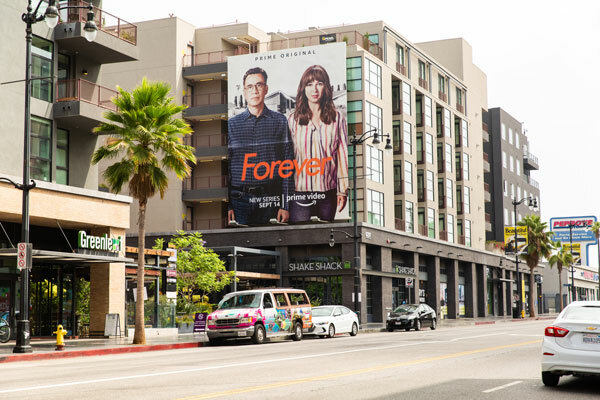 Amazon Prime Video is entering this season with Fred Armisen and Maya Rudolph’s new drama comedy series, Forever. Looking over the Walk of Fame from our Hollwood wallscape, this actor duo will certainly stand out from the rest of the fall entertainment. 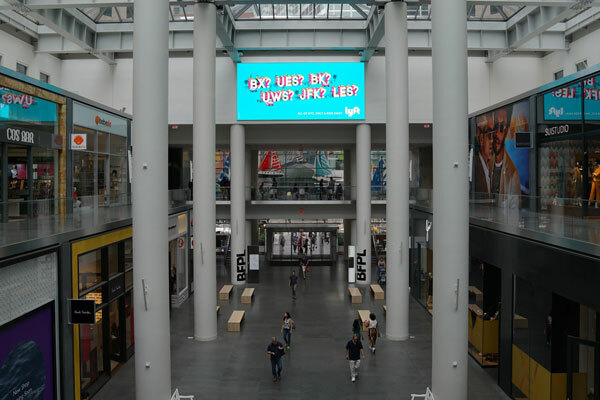 Brookfield Place has a ton of hustle and bustle from tourists to working professionals. No matter who you are though, Lyft is one of the most convenient ways to and from there. Bronx? Brooklyn? JFK Airport? We’ll take a Lyft over public transit any day! We’re a pretty well oiled machine here at Pearl, but there’s a couple of key members that never seem to get the recognition they truly deserve. 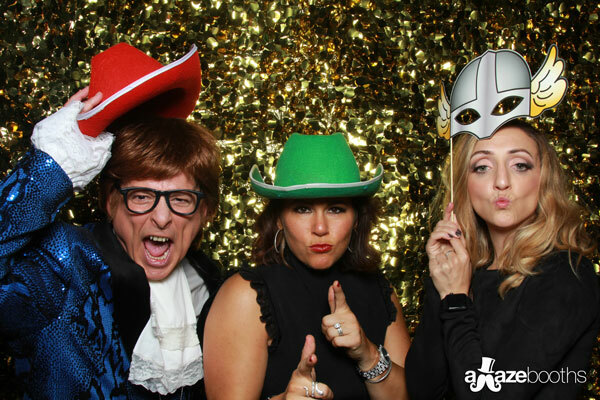 Thankfully, industry staple Billboard Insider stepped up to recognize our very own Jen Almeida and Tia Decamp in their Top 360 Women in Out-of-Home. These two are the organizational crutches that keep us moving forward day in, day out. Congratulations Jen and Tia!